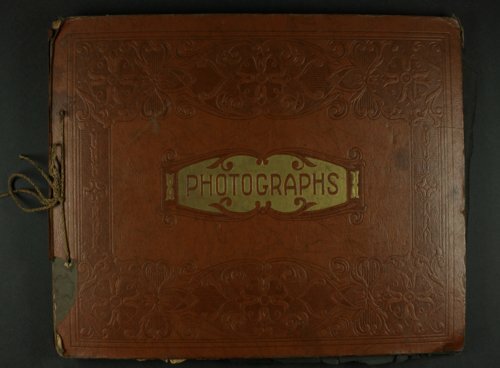 These two scrapbooks contain newspaper clippings and other items relating to the amateur, semi-professional, and professional baseball career of Abraham "Abe" Coffman, a right-handed pitcher from Topeka, Kansas. Coffman, who was also known as "Junior," pitched a no-hitter for the minor league Topeka Owls in 1946, and for several years was a pitching ace for the semi-pro Topeka Decker Oilers. During the late 1940s and early 1950s, the Decker Oilers were Topeka's premier semi-pro team and a frequent contender for the state semi-pro title. Junior Coffman led the Decker Oilers to a state semi-pro championship in 1948 and was named the tournament's top pitcher. As a teen in 1939, he pitched for the Topeka Capitol Post 1 team, which won the American Legion state and regional championships. The Coffman family had several members who were active in Topeka's baseball community. Junior's brother Vern was the long-time manager of the Decker Oilers, and his brother Ed was an outfielder on the team. Harland and Burton Coffman, Vern's sons, also played professionally, as well as with the Decker Oilers. One of the two scrapbooks shown here contains pages in which some clippings were pasted on top of one another. In those instances, it was not possible to reproduce the entirety of the original content. Digital reproduction of the scrapbooks was accomplished through a joint project sponsored by the Kansas Historical Society and the Shawnee County Baseball Hall of Fame.